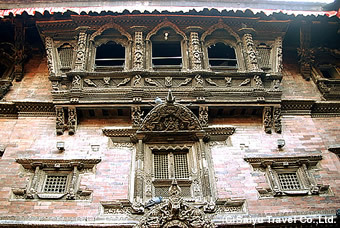 After arrival at Kathmandu, meet a staff, and go to your hotel. Then, have free time. ※Check-in to the hotel is after 14:00. Have free time by the departure time to the airport. ※The room is available until 12:00 at noon. Send you to the airport by car to be in time for your afternoon flight. The following prices are not included in the round-trip Air fares between cities in India and Kathmandu. If you want to buy them, we could introduce the best rate on the day. ※Above mentioned prices are effective for the period from 1st April 2014 to 30th September 2014. On the trip other than that period, please enquire us. ※On the charge of additional room in case 2 people and more trip together, please enquire us. ※On the charges for 3 people and more, for children younger than 12 year old, and for an extra bed, please enquire us separately. ※If the exchange quotation rates (to US$) is drastically changed, the tour prices may be changed, accordingly. Please confirm on it when you apply. ※The above mentioned prices would be added up the service taxes 3.5% of India’s Government Tax. ※The above hotel plans are one example. We could arrange to book a guest house in Thamel area and the characteristic hotels in a city and in a suburb, and the luxury hotels. We could confirm an availability of booking and estimate the costs, so please contact us for enquiring. A dynamic sightseeing flight to view Mt. Everest high up in the sky! If you want to tour by a mountain flight that is operated from the capital city Kathmandu, we could arrange to book it for you in the morning on Day 2. Accordingly, some tour items scheduled would be exchanged for it. 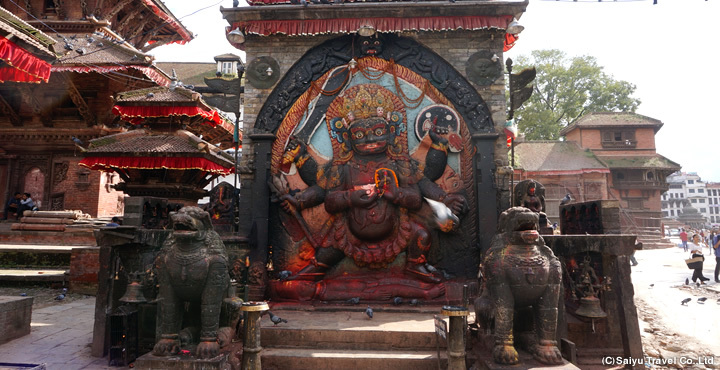 We offer a 1 night and 2 days weekend trip to Nepal! Visit Nepal in a short time. 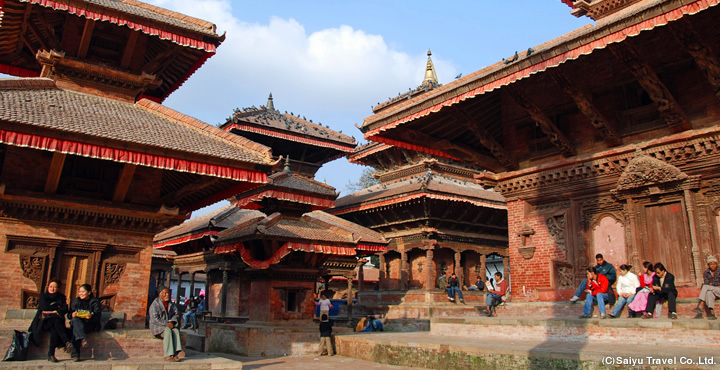 If you depart from the Airport of Delhi in the morning and return to at night in the next day by flights of Spice Jet, Jet Airways or Air India etc., it is possible to tour the “World Heritage Site of the ancient city of Kathmandu” on the weekend. ※The flight schedules change depending on the season, so please enquire us on the most recent flight information. You can walk through Kathmandu freely at your pace. 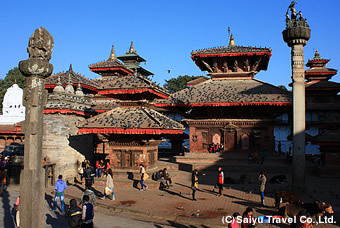 You could add up the optional tours (sightseeing in Kathmandu, tour the ancient capital cities of the World Heritage Sites, Sunrise tour in Nagarkot, Everest Mountain Flight, etc.) Please contact us. You could include the optional tours (sightseeing in cities, the ancient capital cities of the World Heritage Sites, Sunrise in Nagarkot, Everest Mountain Flight, etc.) Please contact us. welcomes you to the country, so please feel easy! The local arrangement in Nepal is accepted by (assigned to) “Saiyu Nepal Trekking & Expedition” that is an affiliated company of SAIYU India. ●SAIYU Nepal is an affiliated company of SAIYU India and our communication is done smoothly. Troubles such as flight delay would be well dealth with. ●On the arrival, 1 bottle of mineral water per person is served on free.